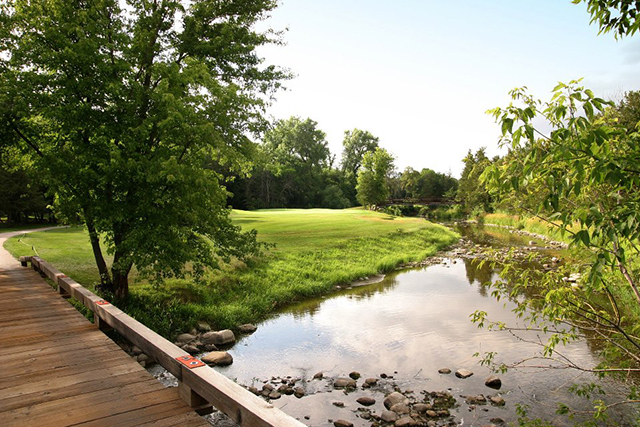 Ridges at Sand Creek features fairways framed by native trees, winding Sand Creek, natural wetlands, rolling terrains, elevated tees, undulating greens and many strategically placed bunkers. The golf course is superbly maintained to enhance the golf experience. Ridges has a full-service food and beverage operation that serves traditional American cuisine. The banquet facilities accommodate up to 400 guests, and the Club Room is available for more intimate gatherings. Our attention to detail provides each guest with award-winning service.